One of Fortinte’s most controversial features is being vaulted at the start of Season 8 when the planes will be removed from the game. 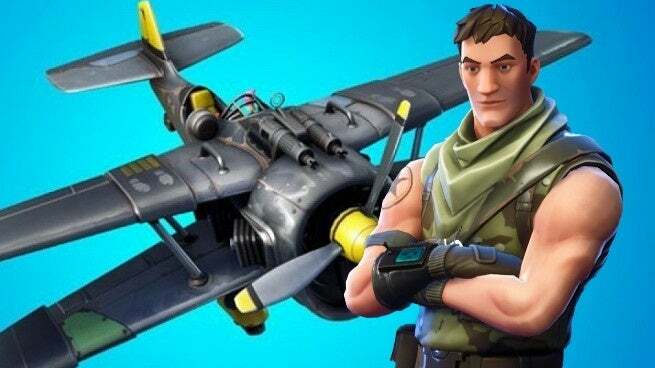 The X-4 Stormwing – more commonly known simply as “the plane” by Fortnite players – was added at the start of Season 7 which means it hasn’t even been in the game a full season yet, though it might feel to some players like the vehicle’s been in forever. Powerful and quick, the planes created a frustrating experience for a vocal portion of the community including professional players who called for the planes to be either nerfed or vaulted entirely. Nerfs did happen, but Epic Games confirmed in a recent AMA on Reddit that the latter would occur as well when the planes are removed next season. The Fortnite Battle Royale AMA has begun! Drop into the thread, ask a question, and follow along with responses. Though the removal of the planes will inspire many players to look forward to Season 8, it’s worth pointing out that the fact that the planes are being vaulted doesn’t mean they won’t return. Other weapons and items have been vaulted in Fortnite prior to this, some of them making returns at different times after Epic Games adjusted them to better fit into Fortnite’s meta. Planes were tinkered with throughout their lifespan, so Epic Games could continue working on them behind the scenes to bring them back at a later date. Ahead of their eventual removal, the planes were hit a nerf in the latest patch that removed the ability to blast through structures. Epic Games previewed those nerfs ahead of the patch’s release to give players something to look forward to, and the actual patch notes detailed what had changed regarding the planes. Fortnite’s planes are here to stay for the remainder of Season 7 with more changes potentially affecting them until Season 8 when they’ll be vaulted.